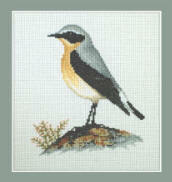 The Northern Wheatear is a common summer visitor to most of Europe. Its range stretches all the way across Russia and to Alaska. It is one of the first migrants to reach UK shores in the spring after spending its winter in Africa.